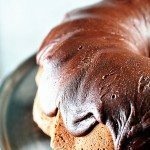 Ganache Recipes : Ganache Glaze, Filling and Frosting! Ganache makes a classic chocolate recipe used as a glaze, frosting, or even as a filling for pastries and truffles. Made of chocolate and cream, ganache is a simple, yet versatile recipe. There are few things as simple to make as chocolate ganache or as versatile. Made by heating cream and pouring over chopped chocolate or chocolate chips, there couldn’t be anything more basic than that. However, depending on the intended use, the ratios of the ingredients will vary. Additionally, you can add flavor with liqueurs, extracts, and other elements depending on the use. Butter can also be included in the mixture to give a rich, shiny sheen and flavor. The uses are endless for this basic, yet so delicious treat! I have to say it is pretty amazing just straight from the spoon! Equal parts chocolate and cream, along with butter and any additional flavorings desired. This glaze is used for pouring over cakes, dipping cupcakes and cookies, pouring over ice cream, as well as other pastries or sweet treats. Two parts chocolate to one part cream, along with butter and any additional flavorings desired. 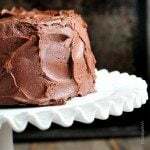 Slightly thicker than the glaze, you’ll use this recipe for adding a layer of ganache between two layers of cake, the base of truffles, or filling pastries. 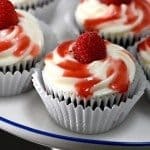 You’ll use this recipe for frosting cakes, cupcakes, etc. Once made and allowing to cool to room temperature, you’ll incorporate air into the ganache to form a frosting by using an electric mixer or whipping by hand with a whisk. Here’s how I make my Ganache. I think you’ll love it any way you decide to use it! Ganache makes a classic chocolate recipe used as a glaze, frosting, or even as a filling for pastries and truffles. Ganache is a simple, yet versatile recipe. Add heavy cream and butter to a small saucepan and heat on low heat until the butter has melted and the cream is warmed throughout. Add chocolate chips to a large glass or nonreactive bowl. Pour the warmed cream and butter mixture over the chocolate chips. Add in the brewed coffee and a pinch of salt. Allow to stand for about 3-5 minutes to soften the chocolate chips completely. Stir briskly to combine and until smooth. Allow to cool slightly. Ganache will easily pour over cake or other item. Once cooled, ganache filling can be spread between layers of cakes, piped as filling into pastries, or sandwiched between cookies, etc. Once cooled, use an electric mixer or a wire whisk, whip ganache to incorporate air and increase the volume of the ganache. Spread on cakes or other pastries as you would frosting. The brewed coffee and pinch of salt are optional in my ganache recipes. I use the coffee to enhance the flavor of the chocolate, but it is not required. The salt, in my opinion, helps to balance the chocolate as well, but is not required either. No one has ever distinguished between glaze/frosting and filling ganache for me. It might seem simple, but for someone who needs a bit of help on ganache, I could never figure out why my ganache would never spread on a cake, it was always way too thick! You just diagnosed my ganache issue so maybe I should call you Dr. Ganache? Plus, I find just chocolate and heavy cream ganache goes rock hard at times and people tend to push it off. So with butter added that’s an whole different animal. No texture problems just wonderful. Thank you Robyn for all your recipes. I love this post because I’m always looking for a good ganache recipe and these all look perfect! Thanks for sharing! What about the: Ganache “from bowl to mouth via spoon while wrapped up in a nice warm blanket watching TV”? This looks awesome, Thanx for the recipes. I just drooled on my keyboard! So much dreamy chocolate!!! Thanks so much, Gaby! There’s nothing like it, is there? The versatility of ganache is undeniable! I love that I can do so much with it. Thanks for sharing this! It is pretty amazing, isn’t it? I love this! 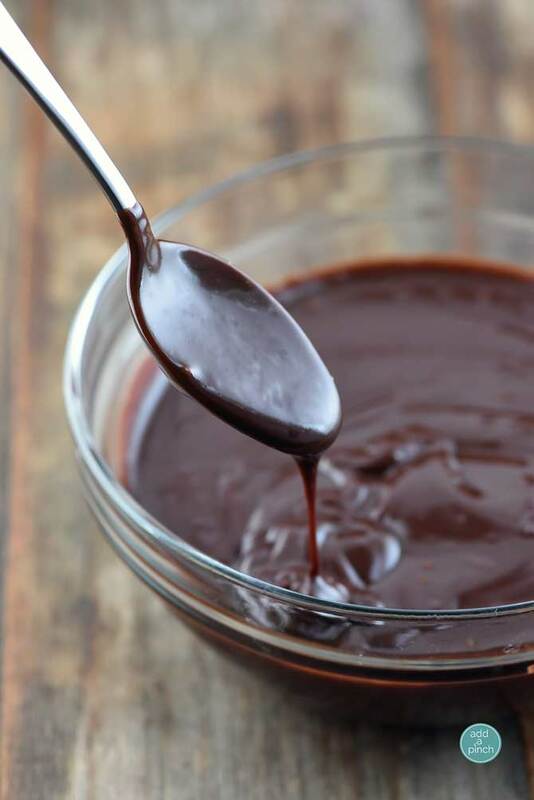 I always make ganache glaze for my cakes or cheesecake. . and love the Ganache Filling .. I’ve got to try this!! Thanks so much, Alice. I love that you can do so many things with such a simple recipe! Hope you enjoy it! Hi Robyn! I love that you added coffee to your ganache glaze! I also make my ganache with heavy cream+ chocolate and I add little bit of corn syrup . It makes it superb as a glaze. Thanks I have found my perfect little sweetie for after Christmas lunch ? Hi I have a question for the ganache frosting. How long do you have to let it sit before you can whip it in the mixer? Also can you do the same measurements for a white chocolate ganache? Thank you much. My ganache in the mid way of layering the cake get hard. I again warm it (double boiler) n reuse it. Is tis the way it works..???? I am using this recipe for a filling for some little Christmas truffles. Is there anything else I can use to substitute the coffee? I don’t drink coffee or have any in my house lol thanks !! I want to use this to frost an ice cream cake but I want to pour it over the cake. 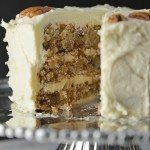 Would you suggest I use the glaze recipe or do I need to whip it like the frosting recipe instructs? I’m new at this ganache buisness…. 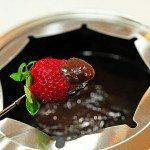 if I were to need to use ganache under fondant, would I be using the ganache frosting recipe? Or will the filling recipe do since I would need it to harden firmly? If using the filling recipe for both filling and “crumb coating”, does the inside ganache harden too? Sorry I missed your question until now! I would use the frosting recipe if using under the fondant to have more structure. I hope that helps! Hello, I’m making this as we speak for a cake this evening. I have made the ganache and would like to frost the cake with it. Under the directions for frosting it does not say f I need to let it cool?? It just says to whip air into it. I have been whipping it for about a half hour now and nothing it’s still a smooth ganache. What now?? Can buttermilk be used instaed of heavy cream? How would I substitute measures? Robyn, when using a 70% would it be fine to add some glucose syrup (or corn syrup if I can find here) to the entire mix. I love the shine. I notice you talk in volume rather than weights? Thus in weight the cream is probably more than cup for cup?? But seeing that your stuff is delectable I’m not going to worry about that further. Some chips are just bigger than others?? should we use unsalted butter or normal butter ? After frosting with the ganache does the cake needs refrigeration? Id assume so because it has fresh cream and butter in it these are not left on a bench. I used the ganache glaze recipe with 0Gm sugar chocolate and it was delicious!!! I LOVE this recipe and will definitely be using it again!! Does 1 cup of cream with 2 cups of chocolate enough to frost a 8 in * 3in cake with 2 layers? Yes – it won’t make a really thick layer of icing if frosting top and sides (then again I only whipped by hand), but this is so rich I wouldn’t want any more. I used slightly more than 2 C chips (dark chocoate), along with the butter, coffee and tiny pinch of salt. Beautiful, easy to make, easy to spread, and totally yummy! Do I have to use butter? What if I don´t, will it not turn out? Just wondering roughly how much chocolate to use if going by grams rather than cups? I am so glad that you love the recipes! I have a Conversion Chart that should help with all the baking and cooking conversions you need. I was just wondering if you have ever add food colouring to ganache? Wilton paste is the type I’d be using.. I just need it to be black, or close to it..
can I freeze this ganache recipe? It is fine to freeze it…just make certain to wrap freezer safe plastic atop the ganache itself and place in an airtight container. I hope you enjoy it! Thanks! Have you ever tried adding Brandy or other alcohol to this or will it affect the consistency? Can’t leave a rating because I haven’t made it yet. I’ll be sure to report how mine comes out! I’ve not added those to this recipe so I can’t say what the outcome would be using them. I hope you enjoy it! Can I make the ganache in advance and refrigerate? Thanks. You can make it a few days in advance and store in the refrigerator. Make sure it’s covered well in an airtight container. I hope you enjoy it! Thanks! Delicious and simple! Topped a cheesecake and was perfect! does this work with white chocolate as well? I’ve not tried this particular recipe with white chocolate, Chloe. Thanks! I made this recipe! It is so so very good, I didn’t add the coffee as I am 13, but it was really good!!! This is my go to frosting, thank you so much for sharing it! I recently made with dairy free chocolate chips and cashew milk as well as added a touch of vanilla and It was just a yummy as the original. Best ganache recipe ever! Today I had some green mint baking chips so did chocolate ganache and in a separate bowl, the mint. Pretty excited to play around with it! Made this for my daughter’s birthday cake. Ganache turned out amazing, I whipped it into a light, fluffy frosting and made the chocolate cake from this site too. So happy with the results! I had to whip the ganache for at least 5-7 minutes to get it how I thought it should look. Always wanted to make ganache, thanks for the recipe! I am making a 35″chocolate cake for a wedding. 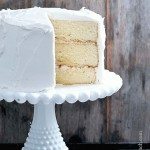 can i use the ganache frosting recipe between layers or is it to soft. I’m not certain, but I would suggest since this is for such a special event that you make a “test cake” to be sure it works. Thanks! I’ve never made it with candy coating, so I can’t say what the results will be using it. Thanks Sam! Can milk instead of cream be used ? Can I use this ganache frosting and glaze on a vanilla cake . 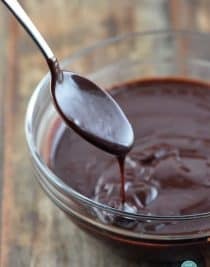 I was thinking of making a ganache for filling crepes, would the glaze or filling be better for that?